After a failed attempt to stay up all night, to catch the polar wildlife at their most active, the day got off to a good start when we spotted a large pod of around 20 or more Orcas on the starboard side of the ship’s bow. Their striking dorsal fins, up to six feet high, cut through the water at some speed, and occasionally we caught glimpses of the white patches along the sides of their bodies. There are approximately 100,000 Orcas in the wild, 70,000 of which frequent Antarctic waters. Orcas are extremely social mammals. They live in family pods and form the most stable family groups of any animal species. Different groups have specific hunting techniques and unique sounds that are passed down over many generations. 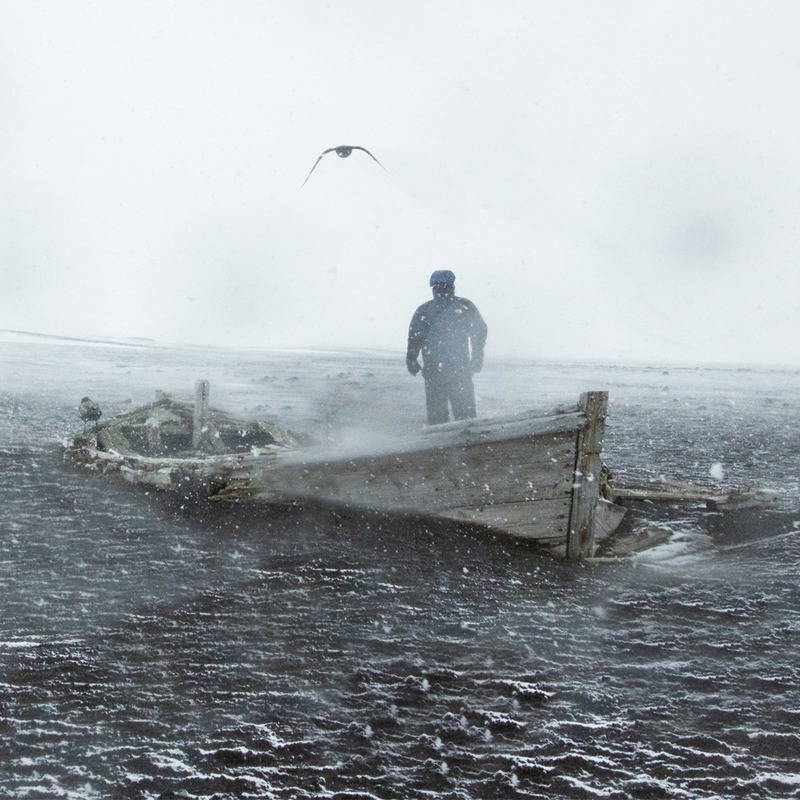 We took to the Zodiacs to explore around Anvers Island in search of more wildlife. We were lucky enough to find some Humpback whales and were able to track one as it it dived and resurfaced. It gave us a flick of its famous tail fluke a few times before slipping under the surface for good. 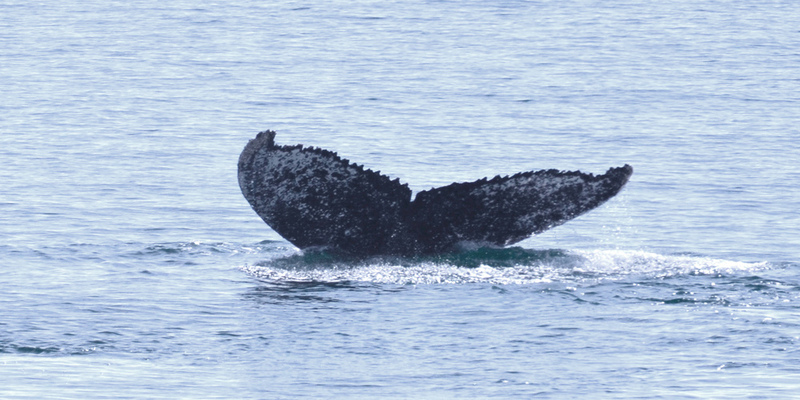 Our resident videographer captured some awesome footage of three Humpbacks "bubble netting" Krill. This feeding technique involved the whales diving below a shoal of Krill and then swimming toward the surface in a spiral, blowing bubbles and driving the Krill into the centre of a circle of bubbles. 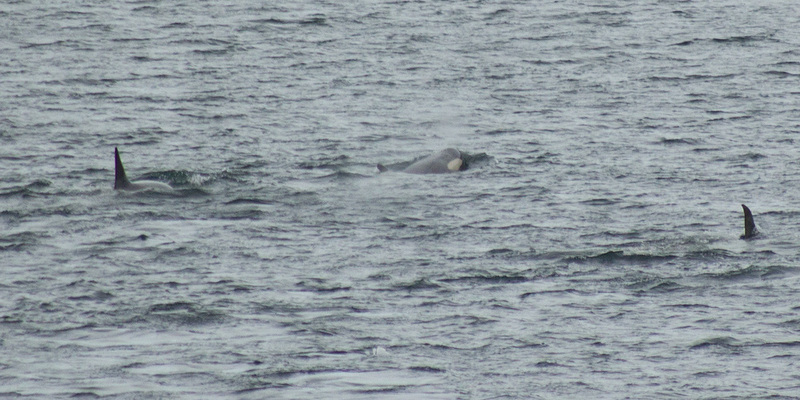 The whales then burst up to the surface with their mouths open to gorge on their prey. On our way back to the ship we also spotted a Leopard Seal lazing on an ice floe. A formidable predator but so cute and adorable. 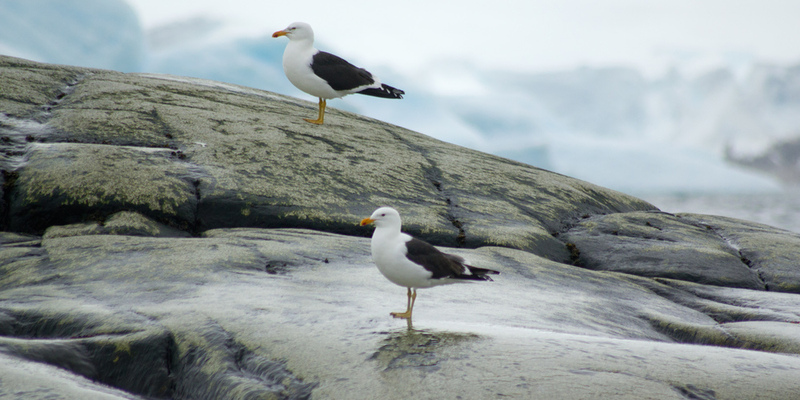 Seagulls rested on the rocks, surveying the world around. Having now been in Antarctica for a few days I was keen to understand more about this frozen region. Some online research uncovered a number of astounding facts. The existence of Antarctica was completely unknown until 1820, until then it was considered to be just a group of islands. Antarctica has approximately 70% of all the fresh water on Earth. 53 million years ago, palm trees were growing along its shores. There are 1150 different species of fungi identified to survive in Antarctica. No polar bears live in Antarctica,they only live in the Arctic. Norwegian explorer Roald Amundsen was the first human to reach the South Pole on December 14, 1911. After secret negotiations twelve countries signed the Treaty to dedicate the continent to peaceful activities. In January 1979 Emilio Palma was the first child born in Antarctica. In the evening we cruised through the Neumayer Channel. From the Regatta Bar we watched the most magnificent sunset it filled the sky with a pinkish orange hue and dripped golden light onto the pack ice and ocean below. During the Austral Summer, the Antarctic has 24 hours of daylight. We watched as night wore on still bathed in a twilight glow. Then the sun dipped briefly under the horizon before coming straight back up. For a moment I imagined that this might be what heaven looks like. I visited Dallmann Fjords, Anvers Island and Neumayer Channel on Saturday, 26th December 2015 from MS The World.